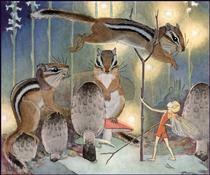 Dorothy Pulis Lathrop (April 16, 1891 – December 30, 1980) was an American writer and illustrator of children's books. 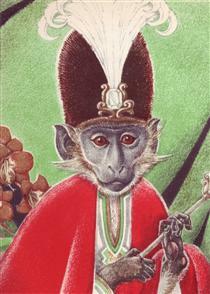 She was born in Albany, New York. 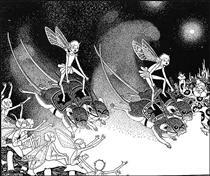 During a prolific career spanning from 1919 to 1967, she used her artistic skills as an illustrator of other authors’ children's fictional literature: more than 38 books were published with her illustrations. 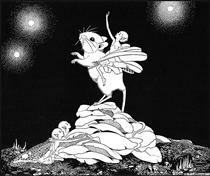 Lathrop wrote and illustrated nine children's books and several topical nonfiction books. 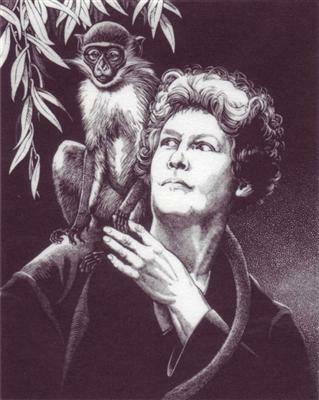 She was also an accomplished printmaker. Much of her work was devoted to the beauty and importance of animals. 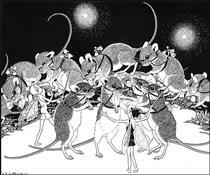 Lathrop's career began around 1919, when her first published suite of illustrations appeared in Walter de la Mare's book for children, The Three Mulla-Mulgars. 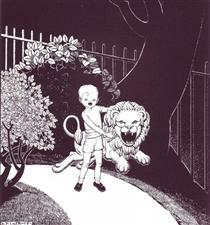 Lathrop developed a friendship with de la Mare, and thereafter illustrated five more of his books for children: Down-Adown-Derry (1922), Crossings (1923), The Dutch Cheese (1931), Mr. Bumps and His Monkey (1942) and Bells and Grass (1942). 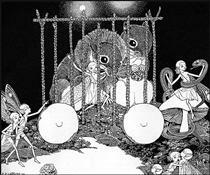 In 1929, Lathrop illustrated Rachel Field's successful children's novel, Hitty, Her First Hundred Years, the fictional story of a doll, which won the Newbery Medal, awarded by the American Library Association for the best children's novel of the year. 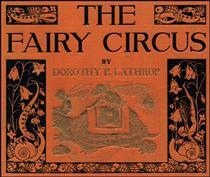 In 1931, Lathrop wrote The Fairy Circus, which was a runner-up for the Newbery Medal. 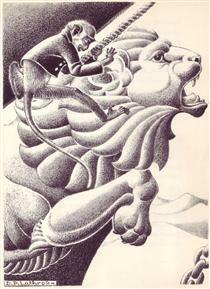 In 1938, Lathrop’s illustrations for Animals of the Bible, written by Helen Dean Fish, won her the inaugural Caldecott Medal, awarded for the year's "most distinguished American picture book for children". 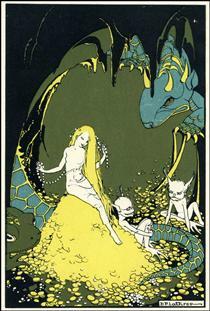 Lathrop illustrated many other books, particularly fantasy and fairy tales such as W. H. Hudson's Little Boy Lost; Hans Christian Andersen's The Little Mermaid; Hilda Conkling's Silverhorn; George MacDonald's The Princess and Curdie and The Light Princess; Jean Ingelow's Mopsa the Fairy and her self-authored The Lost Merry-Go-Round and The Colt from Moon Mountain. 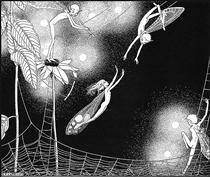 She illustrated several collections of children's poetry including work by Walter de la Mare and Sara Teasdale's Stars To-night. 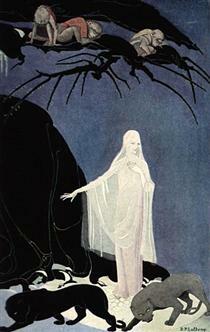 In 1949 she was elected into the National Academy of Design as an Associate Academician. 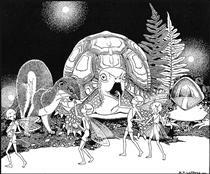 Lathrop's artwork for Stars To-Night: Verses New and Old for Boys and Girls is featured on the cover of the Animal Collective album Spirit They're Gone, Spirit They've Vanished. 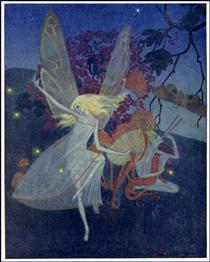 Illustration for Down-Adown-Derry Dorothy Lathrop ? 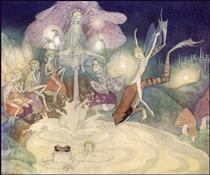 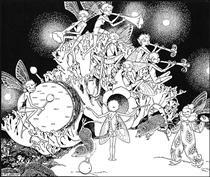 Illustration for Fairy Circus Dorothy Lathrop ? 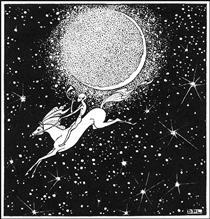 Illustration for The Three Mulla-mulgars Dorothy Lathrop ? 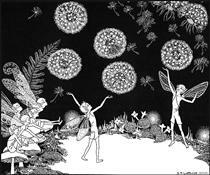 Illustration for The Treasure of Carcassonne Dorothy Lathrop ?